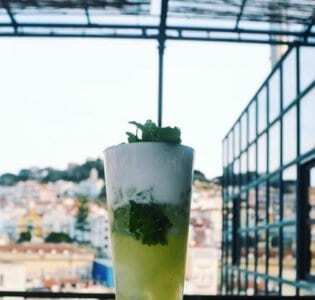 Bar do Peixe feels like it is a million miles away and as a result the bar has become a zen-like escape for those looking to leave the city. On a pristine stretch of Portuguese coastline – only a short trip from Lisbon – you’ll find the village of Aldeia do Meco, which has become legendary for its especially smooth sweep of golden sand, rocky cliffs, and bohemian vibes. Set directly on the beach among this fantastic natural scenery is Bar do Peixe, home to a dedicated crowd of locals and visitors alike who appreciate great drinks, good music, tantalizing fresh seafood, and sweet sunset views. 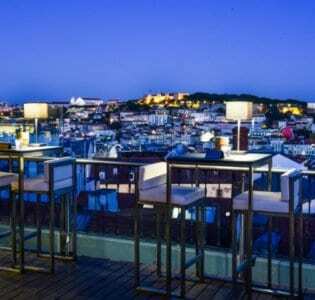 While only around forty kilometers from the capital Lisbon, Bar do Peixe feels like it is a million miles away and as a result the bar has become a zen-like escape for those looking to leave the city. This doesn’t mean that it isn’t a lively place though, as sunset parties here are often talked about all the next day. Especially in the summer, elite DJs spin, whipping a beautiful crowd sipping sundowners of white sangria and port & tonic into a frenzy. The festivities don’t end in autumn, though, as this stretch of coast is sunny and bright year-round and Bar do Peixe has been known to make a fantastic mulled wine in winter. Even though the bar has become famous all over Europe for its cocktails and nightlife, the grilled seafood here is hands down some of the best on the coast, confirming Bar do Peixe status as a true triple threat.